Want the skinny on your body fat and hydration level when you step on the scale? 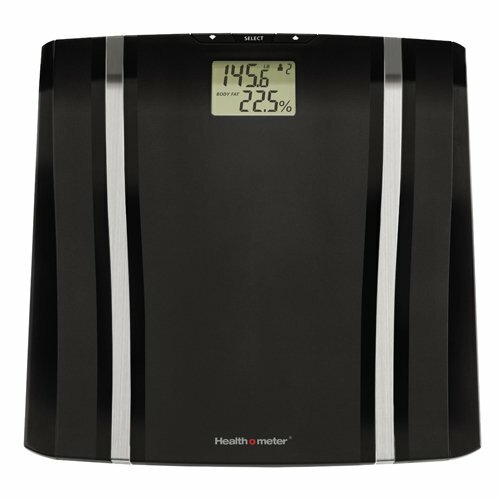 This body fat scale gives you a readout of weight, body fat, BMI, and hydration for a more complete weigh in. Accurately measures weight up to 400 lbs in .2 lb increments and uses 4 load cell technology for precise weighing with repeat accuracy. Stores information for 4 users. Lightweight design with large, easy-to-read 2.0" LCD display. Requires 4 AA batteries - included. The company behind Health o meter® scales knows how important weight management is to you by assuring the quality and precision of this Professional Body Fat Scale with a 5-year limited warranty.